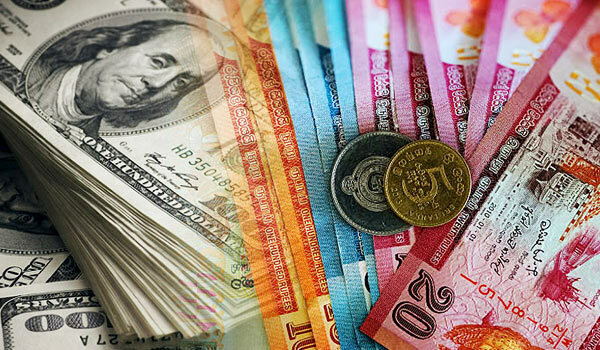 The Sri Lankan rupee ended marginally weaker on Tuesday as importer dollar demand surpassed selling of the greenback by exporters, traders said. The rupee closed at 159.50/60 per dollar, compared with Monday’s 159.45/65. It has declined 3.9 percent so far this year and had hit a record low of 160.17 on June 20. “The demand (for dollars) was there today … we have seen some oil-related demand,” said a currency dealer asking not to be named. Dealers said the news of Chinese grant of 300 million dollars helped to ease the pressure on the currency. Chinese President Xi Jinping has offered Sri Lanka a fresh grant of 2 billion yuan ($295 million), as Beijing looks to expand its influence in the tiny island country off India’s southern tip. Sri Lanka’s central bank governor, Indrajit Coomaraswamy, had said earlier that the rupee’s decline was driven mainly by factors outside of Sri Lanka and that emerging-market currencies were under pressure. The central bank is concerned that dollar hoarding and market manipulation are exacerbating the rupee’s weakness and has the tools to correct any misalignment in the exchange rate, Coomaraswamy told Reuters. The International Monetary Fund said last month that Sri Lanka’s economy remained vulnerable to adverse shocks due to a sizeable public debt and large refinancing needs.